Just a reminder that our next brick order deadline is quickly approaching..
As you are trying to find that perfect gift, for any holiday; have you remembered your veteran today? It’s not too late to be a part of history with the Veterans Freedom Park. Buying a brick is the one gift that truly keeps on giving. This is a permanent way to honor your veterans and their sacrifices to this country. We can also provide a letter for your purchase, if this is a gift. These memorial bricks are located throughout our whole park, as a permanent reminder of those veterans that served this great nation. There is no better way to honor your veteran, or service member than by purchasing a brick for them! This would make a great gift. The bricks will be placed throughout the walkways and the war era’s. These brick sales are vital to the funding of the park. A 4″ x 8″ brick can be engraved with your choice of wording, and possible logo if space allows, for a donation of $100 or more. A single 8″x 8″ brick can be engraved with your choice of wording and possible logo, (if space allows), for a donation of $200 or more. 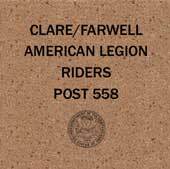 You can also order mini replica bricks that are only $20 with any order online, by mail, or in person at the Clare County Veterans Office-989-539-3273. These brick sales are vital to the funding of the park; and your purchase can and will make a difference. You have an opportunity to be a part of history with the ‘Veterans Freedom Park’ in Clare County, that is unique for the entire State of Michigan. 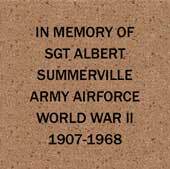 We would like to ask for your help with our ‘Brick Paver Campaign’.These memorial bricks will be located throughout our whole park as a permanent reminder of those veterans that served this great nation. There is no better way to honor your veteran or service member than by purchasing a brick for them! This would make a great gift. The bricks will be placed throughout the walkways and of the war era’s. We will only be placing orders twice a year. A single 4”x8” brick can be engraved with your choice of wording and possible logo if space allows, for a donation of $100 or more. A single 8″x8″ brick can be engraved with your choice of wording and possible logo, (if space allows, of your choice for a donation of $200 or more. Each line will contain a maximum of 20 characters and the engraving will be filled with black. 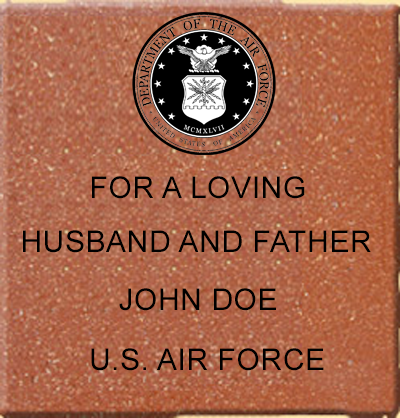 Brick pavers may be purchased to honor ANY American who has served, or is currently serving in the United States Armed Services. The Veteran NEED NOT be a resident of Harrison, or the State of Michigan to purchase a paver. Anyone can also purchase a brick in support of our veterans and the park. We will only be placing orders twice a year at this point, for install before Memorial Weekend and Veterans Day. All text is case sensitive and centered automatically on your order. Note: characters include letters, numbers, spaces and punctuation. PLEASE WRITE LEGIBLE, AS THE BRICK WILL BE ENGRAVED EXACTLY AS YOUR FORM INDICATES. Fill it out, print it, and mail with payment to our office. Very carefully complete the form. The way the form appears is the way it will be engraved. We will assume that you filled everything out correctly. Please make checks payable to “Veterans Freedom Park” Mail To: Clare Co. Veterans Adm. Office PO Box 438 Harrison, MI 48625 Or click here to send email.